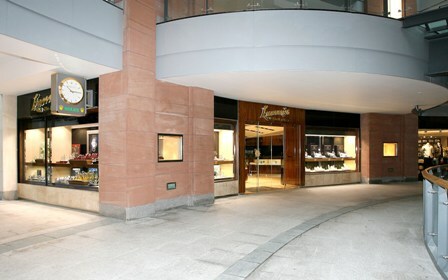 Lunn's are one of the UK's finest independent retail jewellers. Established over 60 years ago, we have extensive experience in buying and selling diamonds. As a family business, our customers are at the heart of everything we do. We are dedicated to providing every customer with first-class advice, superior service and the best value. Our diamond buyers are all qualified gemologists, each diamond is carefully examined before it enters our collection. It is extremely important to us that our diamonds are certified only by the world's leading independent diamond grading laboratories. For this reason we only sell diamonds certified by only the leading international laboratories such as GIA, HRD and IGI. This philosophy has earned us an exceptional reputation, both locally and internationally. Our customers choose us because we understand the importance you place on quality, reliability and confidentiality. You can trust that your diamond from the Portfolio collection at Lunn's is of the finest quality - and that every purchase you make will be handled with loving care.